10-Strike Software announces its network inventory solution for Windows platforms - 10-Strike Network Inventory Explorer. Targeting small and medium-sized businesses, Network Inventory Explorer offers a broad range of features that allow system administrators to automate hardware and software asset inventory managemet. One of the specialties of this product is its ability to audit changes in computer configuration – the administrator will instantly know when a device is removed or a new one, for example, a USB drive, is plugged in. 10-Strike Network Inventory Explorer automates device and software discovery, letting the administrator see all network assets on a screen in just a click. 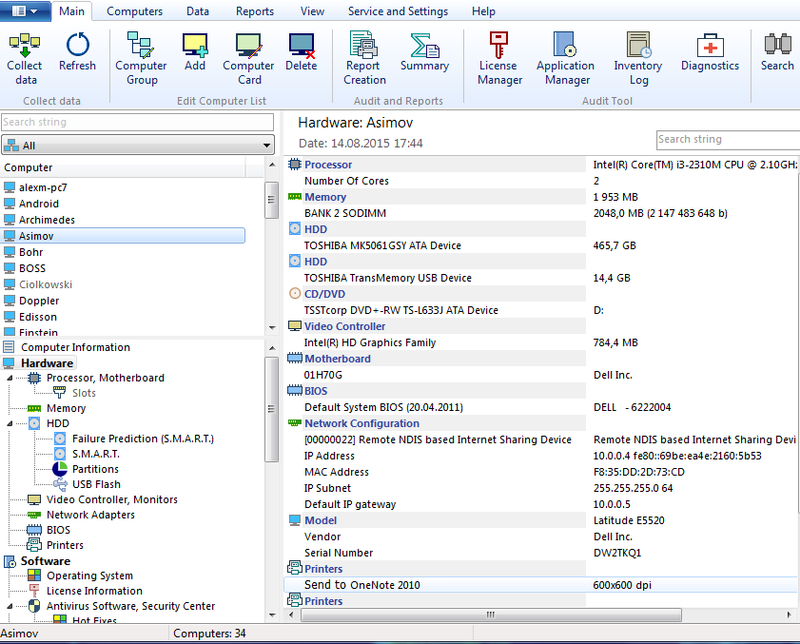 The collected information is loaded to a central database repository and can be viewed at any time, even if the administrator's computer is not connected to the network. At any moment, it is possible to see any configuration items on network computers, track and watch changes of the network computer asset database, and respond to them proactively. If, for example, someone installed an unwanted application onto a network computer, the administrator will be able to see it, and take preventive measures. The program will help the administrator track all licensing information and plan software upgrades better. With Network Inventory Explorer, you will have up-to-date hardware information to be able to plan hardware upgrades more accurately. For example, the user can generate reports on machines with insufficient RAM or total disk space. The adminstrator can also use the Search Online option from the same menu to search for the device online. For example, you can right-click on the printer record and search for an updated driver for it online. Available now, 10-Strike Network Inventory Explorer is priced per audit node. Pricing for 50 computer node license is $199.95.